In a statement, the airline said that it will start flights under the third phase of UDAN scheme where it bagged 22 proposals, highest among the 11 airlines that won rights to operate flights. 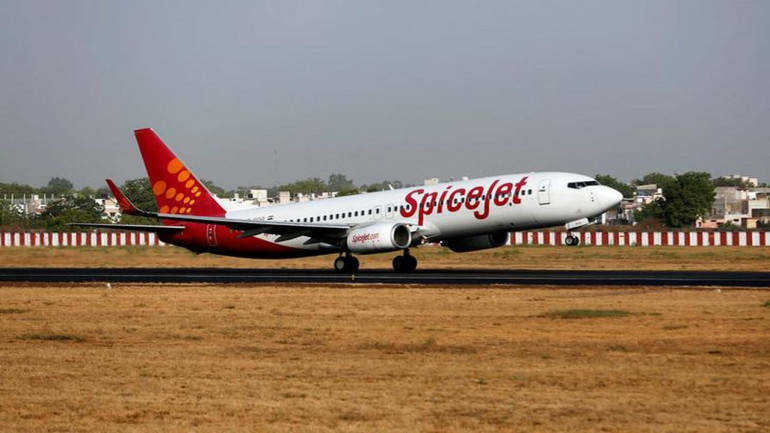 Budget carrier SpiceJet announced a mix of 12 domestic and international flights to be operated from March 31st and April 15th, 2019 respectively, which will cater to various routes, especially under the government’s regional connectivity scheme. In a statement released on March 5, the airline said that it will start (back and forth) flights on Kishangarh-Ahmedabad, Lakhimpur-Guwahati and Jaipur-Amritsar routes under the third phase of UDAN (Ude Desh ka Aam Nagrik) scheme where it bagged 22 proposals, highest among the 11 airlines that won rights to operate flights. While the airline will operate daily fights between Guwahati-Lakhimpur and Jaipur-Amritsar, it will operate flights between Kishangarh and Ahmedabad on all days except Sundays. “SpiceJet sees huge demand to and from Kishangarh and Lakhimpur and has hence augmented connectivity from these cities. Currently, the airline flies to Delhi and Kolkata from Kishangarh and Lakhimpur respectively,” the airline said in the statement. Announcing various ‘firsts’ in the airline business, the low cost carrier became the first operate to fly between Hyderabad and Colombo and between Chennai and Patna. “Our new flight to Colombo reinforces our commitment to strengthening the network between India and Sri Lanka. We see tremendous potential in this sector for both leisure and business travelers,” said Shilpa Bhatia, chief sales and revenue officer, SpiceJet. The airline will operate between Hyderabad and Colombo on all days except Tuesdays and Wednesdays. The new flights (back and forth) between Chennai and Patna and Chennai and Surat will be daily flights. As introductory (all inclusive) promotional fares, the airline announced capped prices at Rs 6,499 on Hyderabad-Colombo, Rs 7,599 on Colombo-Hyderabad, Rs 2,464 on Ahmedabad-Kishangarh, Rs 2,464 on Kishangarh-Ahmedabad, Rs 1,931 on Guwahati-Lakhimpur, Rs 1,931 on Lakhimpur-Guwahati, Rs 3,911 on Chennai-Patna, Rs 3,973 on Patna-Chennai, Rs 2,599 on Chennai-Surat, Rs 2,599 on Surat-Chennai, Rs 2,837 on Jaipur-Amritsar and Rs 2,933 on Amritsar- Jaipur routes. Last week, SpiceJet had added Gwalior as the 11th city that it connects under UDAN scheme. It was its 52nd domestic destination overall.